If you’re ever in Brooklyn, I have a great suggestion for a place to stop and have a bite to eat. There’s a restaurant there called Buffalo Boss, which is owned and operated by a man named Jamar White. Jamar White’s main investor is the rapper and entertainment mogul Jay-Z, who also happens to be White’s cousin. 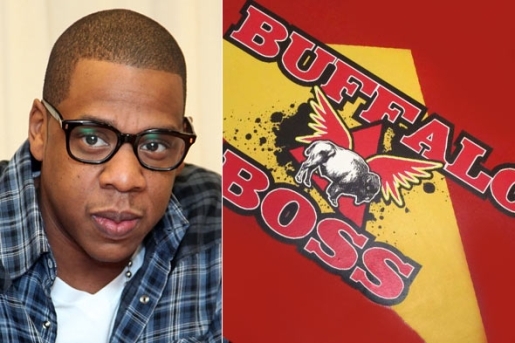 Thus, Jay-Z is a main investor in a Brooklyn-based chicken joint called Buffalo Boss. I’m not surprised that Jay-Z, born Shawn Carter, would be involved in the food business. After all, he’s involved in everything from cologne to a clothing line, owns an upscale sports bar chain, has written a book, and even has a stake in the New Jersey Nets NBA franchise. Food is a natural extension; maybe he can carry Buffalo Boss wing sauce in his 40/40 sports bars?